Where's the Best Bakery in Melbourne? 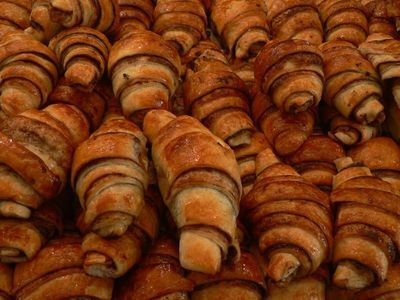 Bakeries are not only wonderful places to purchase a wide variety of breads, pastries, cakes and pies, but they are also fantastic places to sample different cuisines, particularly in Melbourne. For example you can try European delights at Parisian Patisserie Boulangerie, Middle Eastern treats at Mankoushe and Asian sweets at Maxims Cakes and Pastry. The talented Melbourne WeekendNotes team have previously recommended Melbourne bakeries such as Laurent Bakery, Amici Bakery and Cafe, Bread Top Bakery and The Cupcake Bakery. But now with your help, we would like to create a listing of Melbourne's very best bakeries. To kick of the list, let's start with A1 Lebanese Bakery in Brunswick. This popular Melbourne bakery is well known for fantastic Lebanese style pies and pizzas. Babka Bakery Café in Fitzroy is another top pick for Eastern European delights - the Babka pies are the favourite here. There are quite a few French bakeries in Melbourne; if I had to pick the top three it would include Parisian Patisserie Boulangerie in Essendon, Choukette in Brunswick and French Fantasies in South Yarra. Fatto a Mano, located in Collingwood, is great for organic breads. 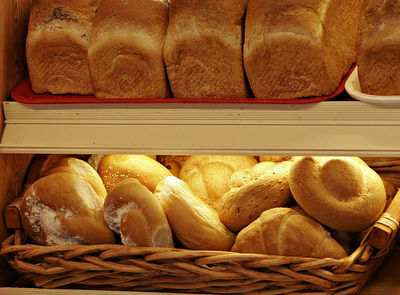 I should also mention Sugardough Panificio & Patisserie, located in Brunswick, for quality breads. There are quite a few Melbourne bakeries to pick from, so I am going to hand it over to you. If you know of a great bakery located in or around Melbourne, please leave a comment. Let Petit Gateau - 458 Little Collins St. Try their Brownie & Passionfruit Chocolate Gateau. It's to die for!